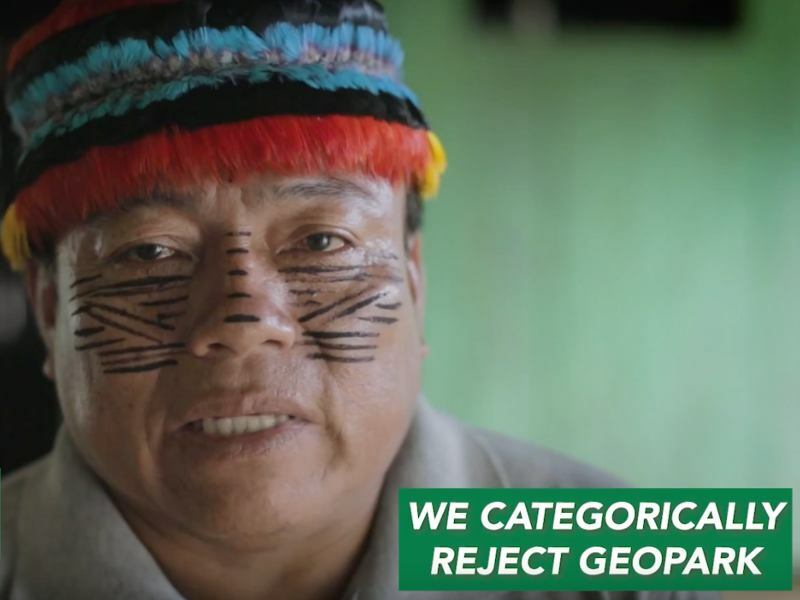 While presidents, royalty and corporate dignitaries gave speeches at a global conference in Brasil's federal capital this week on the need to protect water sources, river defender Ageu Lobo Pereira was running for his life through the Amazon forest. The head of the riverine communities of Montanha e Mangbal had been tipped off that assassins were preparing an ambush. 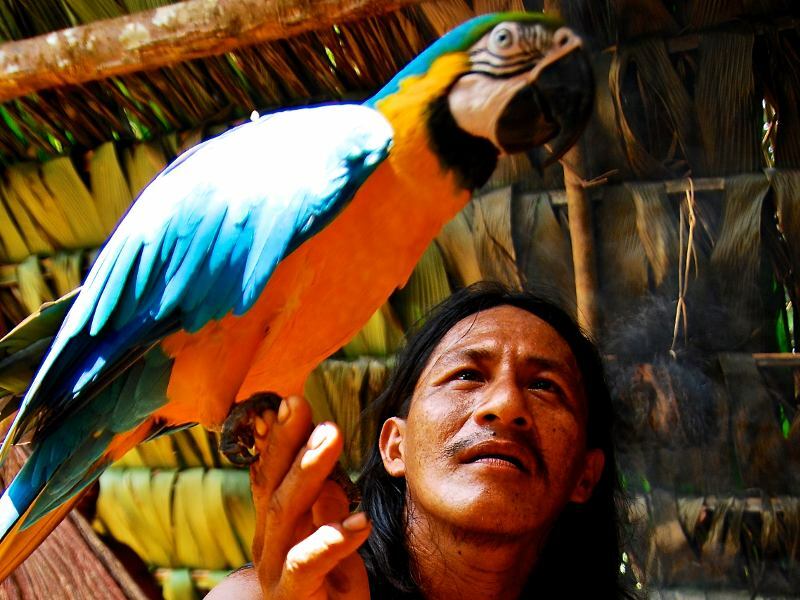 They wanted to end his resistance to mines, deforestation and dams that threaten the Tapajós river. It was not the first narrow escape. Two of his friends, Francisco Firmino da Silva and Pedro Braga da Silva, have also been on the hitlist of a notorious local businessman since they allied with indigenous groups to demarcate their territory. The authorities have been notified of the attacks. Police know the name of the mafia-like boss who wants them dead. The community leaders have requested guards from a federal protection programme. But so far, the law has been absent, leaving the villagers vulnerable to more violent, economically powerful and environmentally destructive forces. 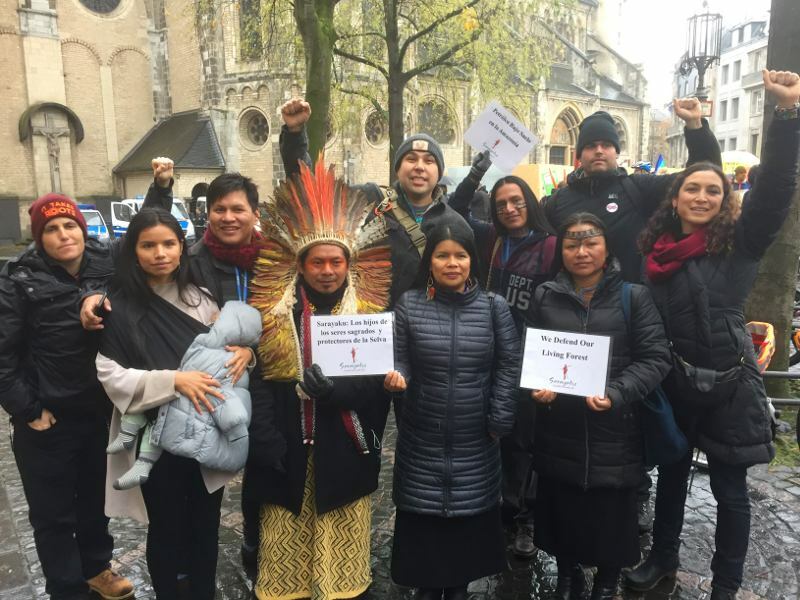 The case – which was related to the Guardian ahead of World Water Day on Thursday – highlights one of the biggest problems facing conservation: impunity and a lack of protection for water defenders in traditional communities. The subject has received little attention at this week's World Water Forum, the pre-eminent global talking shop for management of sanitation, drinking supplies, hydropower, irrigation, watershed management and a host of other related issues. Tens of thousands of statesmen, corporate executives, investors, government officials, engineers, academics and NGO representatives have gathered in Brasilia for this triannual event, which aims to push forward the UN goal of providing clean water and sanitation to everyone on the planet by 2030. There is a growing sense of urgency. A UN report on Monday warned that five billion people could face water stresses in the coming decades as a result climate change, pollution and rising demand. At the an opening of the conference, Brazil's president, Michel Temer, said the world must race to avert disastrous loss of water supplies. "There is simply no time to lose," he said. 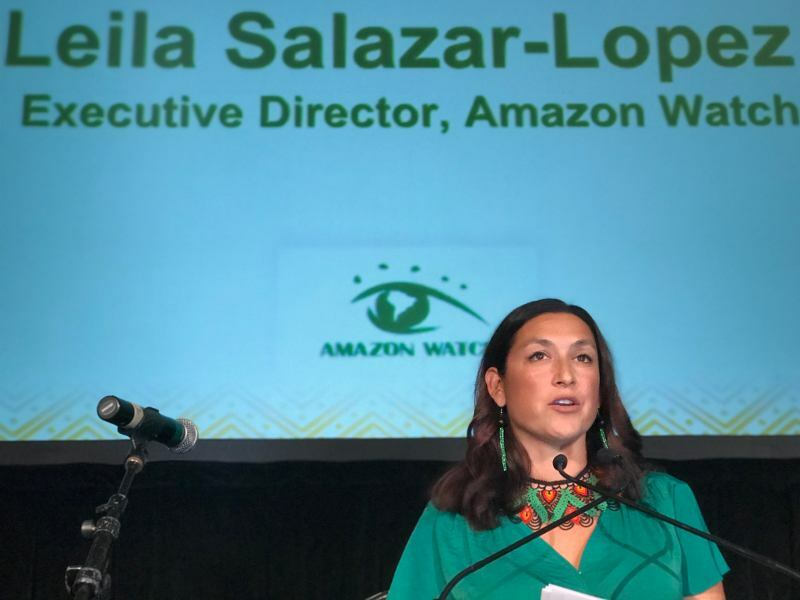 Yet in Brazil, the world's most water-rich country, hundreds of cities face drought and many more communities are afflicted by contamination of supplies, while those that try to defend these resources are often murdered or criminalised. These concerns are raised at an alternative forum in the park outside the main conference hall, where representatives of riverine and indigenous communities have joined workshop and discussions with anti-fracking campaigners, anti-dam groups and opponents of water privatisation. 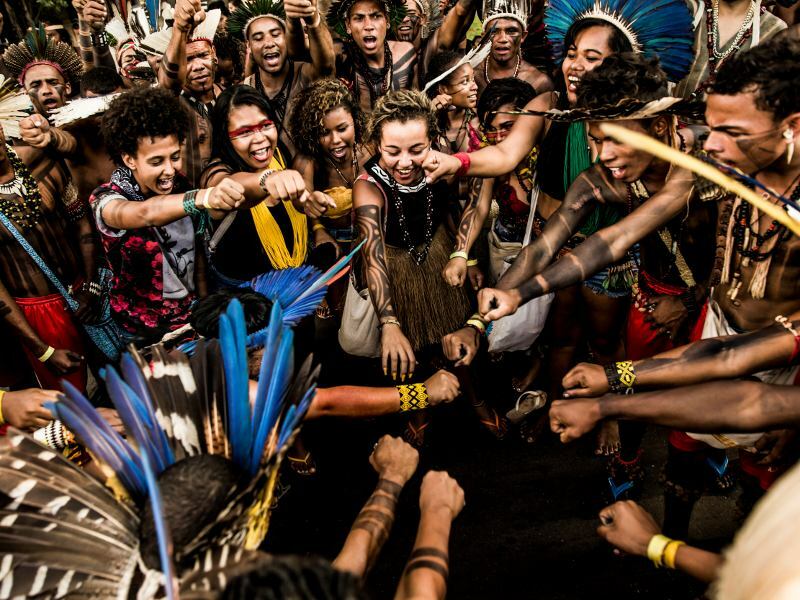 The assaults on Brazil's rivers are far more evident here than in the main forum.Activists from the Krenak indigenous group describe how livelihoods have been destroyed along the Rio Doce in the wake of the 2015 collapse of a tailings dam owned by a subsidiary of Brazilian mining giant Vale and the Anglo-Australian multinational BHP Billiton. Nineteen people died in that accident – Brazil's worst environmental disaster – but many more are still suffering because the river is contaminated. They cannot fish and have to rely on water truck for drinking supplies. "When the river died, we died with it," said Daniel Krenak. 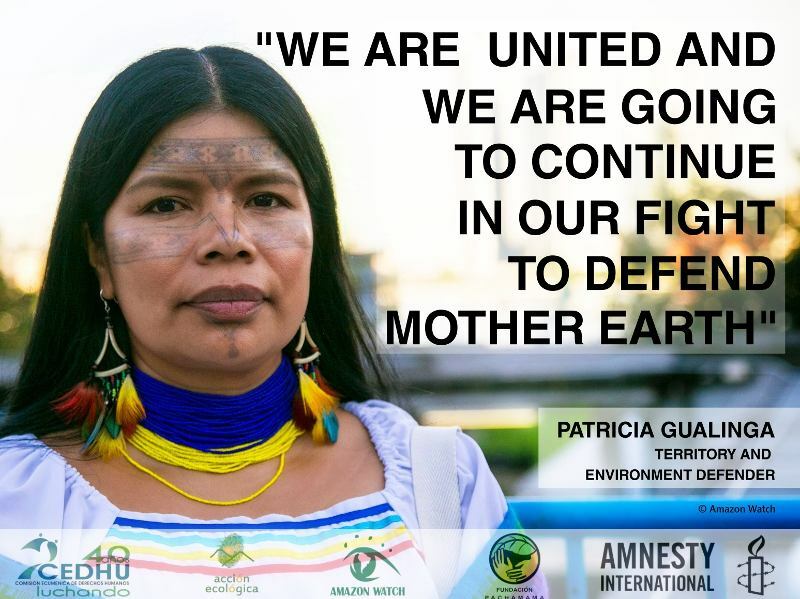 From the Xingu river, campaigner Antonia Melo described how traditional residents are struggling to cope with environmental and social damage caused by the huge Belo Monte dam, which has been followed by Brazil's worst levels of deforestation and crime. From the Tapajós, Francisco Firmino described his own narrow escape from hitmen hired by the same boss who targeted the village chief, Pereira. "We have been fighting for water, for the forest and for our grandchildren for many years," he said. "But things have got worse because even the states seems to be against us." His life, he said, was saved not by police but by allies from the Munduruku indigenous group, which is campaigning against dams, mines and a series of soya ports, which would add to the river traffic and pollution. In their call for more legal support, the campaigners also noted the contamination of rivers and groundwater around the Norwegian-owned Hydro Alunorte alumina refinery in Barcarena, northern Pará state, and the murder last week of local community activist Paulo Nascimento, who had been receiving threats. Senior UN officials and the head of the World Water Council have also urged wider adoption of nature-based solutions (wetlands and forests rather than dams and reservoirs), indigenous knowledge and sustainable small-scale farming. Yet for all the talk of "sharing" (the principal theme of the forum), business still rules. This is evident in the exhibition centre, which prominently features Nestle, Suez, Eletrobras, Brazil's National Confederation of Agricultural Workers and various national trade and technical organisations. The only civil society representatives are a handful of global NGOs. The top-down approach is evident in the recommendations of the World Water Council's high-level panel – chaired by the United Nations secretary-general António Guterres and president of the World Bank Group, Jim Yong Kim – which focus on the need for more infrastructure investment to overcome a growing crisis. Without better water management, it says national growth rates could fall by 6% of GDP. "If actions are taken sooner rather than later and decision-makers invest in water security, our water resources can be managed more effectively, and communities will be better protected from crises," explains World Water Council president, Benedito Braga. The forum highlights how water security is rising up the political agenda, with more groups involved, a wider set of solutions discussed and a greater sense of urgency. But, while the river defenders and community activists are left outside, the focus is still on exploiting nature rather than protecting it. Climate Justice Now! Keep It in the Ground!